You’ve dreamed of writing a family history for years — and you’ve even started wading through old documents, photos, and records. But after countless hours of research, you’re stuck. What do you do with all of the materials you’ve gathered? What’s the best way to present your family’s history? What kind of a story do you want to tell — and how do you want to tell it? Where do you even start? The great thing about family history projects is that the options are almost limitless. Want to keep things simple? You can stick to a just-the-facts family tree. Want a sweeping epic that spans generations? Consider writing a novel-length family biography that weaves your ancestors’ stories together with important historical events. Not a huge fan of writing? You can tell your family’s story through a collection of letters, journals, photographs, and other documents. Of course, the drawback to all of these choices is choosing the right one for your family and your goals for the project. Not sure which option is right for you? Join us for a deep dive into some of our favorite options — along with the pros and cons of each one. This, by far, is the most straightforward way to organize your family history. This traditional, basic format shows how each person in your lineage is connected. Family Tree. This style offers the bare facts of your ancestors, including names, birth and death dates, and how they relate to each other within the family line. Ahnentafel Style. Also known as a “pedigree chart,” this option is similar to — but more complex than — a family tree and it’s a popular choice for historian archivists. These charts can vary in layout, but they are always organized with the information starting in the present and moving backward into the past along the direct lineage. The information is organized based on a specific numbering and charting system that tracks family units or groups. Register. Another popular option with historic archivists and professional genealogists. Also known as the “Descendancy,” this style is the opposite of the Ahnentafel as it works from the past into the present from a common ancestor. Like the Anhentafel, though, this option uses a numbering system to organize people into families, but registers also feature a very basic paragraph about each person that includes: the place of birth/baptism and birth/baptism date(s); place of death/burial and death/burial date(s); and place of marriage and marriage date. Why go traditional? All three styles of traditional genealogy are a great way to organize your research and data while compiling your family history. And, since these options are focused on names, dates, and places, they’re great options if you’re not interested in doing a lot of writing. They are also perfect for the genealogist and anyone else who wants to organize their information before starting a more writing-intensive option. Drawbacks to consider: While these formats make it easy to organize the data in a logical way, they’re not very exciting. The end result is a dry, bare-bones list of names and dates, with no in-depth details about your family’s rich history. 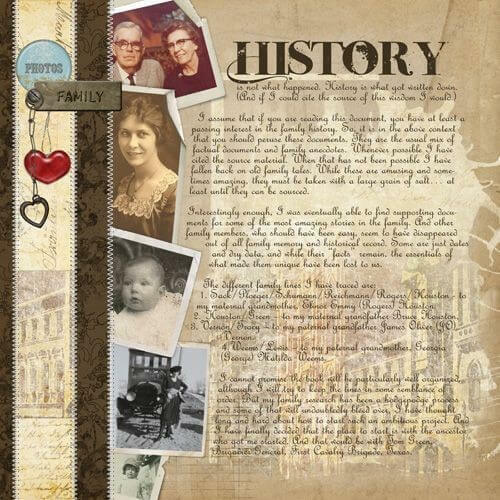 Also known as a “heritage scrapbook,” this style of family history includes names and dates, but it keeps things interesting with the addition of photos, notes, stories, documents, letters, journal entries, newspaper clippings, and anything else you can think of. You can use a scanner and simple layout software to create your scrapbook digitally, which gives you the option to print multiple copies for several members of your family. Or you can keep things old-school and create a one-of-a kind, paper-crafted scrapbook that that is placed within a binder. Why this is a great option: With the journaled scrapbook format, you can use a lot more of the documents and old photos you found in our research instead of letting them sit in a box. Photos help give a rich element to your family history and you can embellish them in a creative way with written narratives and any other documents you like. Things to consider: Printing can increase the overall cost of your project — especially if you’re using lots of photos and other graphics. On the other hand, if you choose to do a paper-crafted scrapbook, you can save money — but you’ll be limited to only one copy to share with your family. Did your family love to cook? Write a book of recipes shared across the generations, along with the stories about where the recipes came from and other interesting details. Were there a lot of military men and women in your family? Write about their bravery and experiences during their service, and how that affected the family line. Maybe there were plenty of “black sheep,” adventurers, or renegades in your family line. Base your family history around their colorful experiences. Really, there is no shortage of ideas on topics you could use to present your family histories. Why choose a theme-based option: There are lots of topics you can choose from within your family history to write about. Whether visual or narrative in form, it is a great way to present a special family theme that can be shared with all your relatives. You can mix photos, documents, and narratives along with items like recipes, letters, etc. What to know before you start: Just like with a journaled scrapbook, theme-based history books often include lots of photos, notes, and other documents, which means it can be costly to print. Creating a book with a special theme or narrow scope also means leaving out many other aspects and stories — or even people — that don’t fit within the book’s focus. 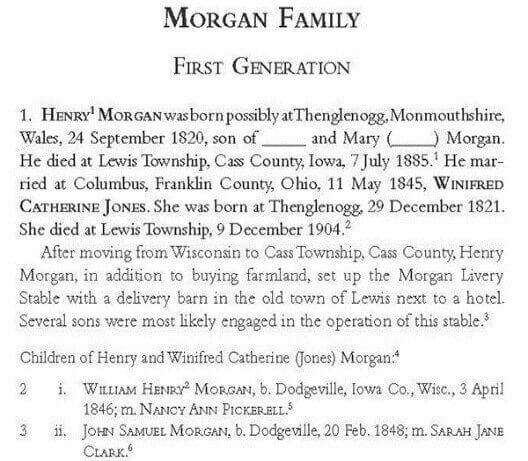 A family biography is a narrative story of a whole family’s history, and it can provide a look at a direct family line/surname or a broader view of several directly connected lines. This format is a lot like a novel: You write a narrative about your ancestors using notes, memories, and a bit of creative license here and there. Your family’s narrative is set against a historical backdrop and often includes information about historical events, politics, economic conditions, and other historical circumstances that influenced your descendants. Why a biography? This format gives you the ability to use all the facts you collected in a more compelling way while bringing your family’s history alive. You can get in-depth and provide meaning and context — and you can tell some amazing stories without worrying if they’ll “fit” within a specific space or theme. Drawbacks of a biography-style book: This option works best if you have plentiful resources to draw upon, such as old letters and journals actually written by family members you are writing about. Without that firsthand perspective, it’s all too easy to make assumptions about your ancestors’ actions, beliefs, and decisions. This format an anthology, which is a collection of stories typically written to fit into a certain subject or theme. To use this format you would select which family members’ stories you want to highlight and write each one separately. Each family member’s story would be a chapter or section in our book, and each story would work together in some way to illustrate a certain theme, idea, time period, or even a memory. Again, there is no shortage of ideas for compiling an anthology-style family history. You could write stories about the women in one direct line, write all about the men in one direct line, or even transcribe family members’ memories or interpretations of a certain important family event. Or you can have family members write their own stories and put them into book form. The benefits of an anthology: This format can include more in-depth information into each individual, creating a more complete portrait of each family member you write about. You can also ask family members to write their own stories and send them to you, which means less writing work for you — and more colorful and varied stories for readers. The challenges of an anthology-style approach: While it is said everyone has a story to tell, not every family member’s story will be equally compelling. You’ll need to make sure that you have enough stories to make an interesting book, and you should be willing to scale the project up or down as needed. For example, you might find that, out of ten women in your family, only six have stories that would be interesting to others. And if you are having other family members write their own stories, you may find they don’t write well and may get narrative back that needs to be rewritten. Another interesting way to write your family’s history is by capturing certain events and writing about how they affected your ancestors. Going from past to present, taking a large, or even smaller, historical event that your ancestors experienced can be an interesting way of presenting the facts of both the event and your family and show how it shaped the family line. Examples: Did you have groups of ancestors who documented their experiences during the Civil War? Maybe you have a relative who was alive during the 1906 San Francisco earthquake? Or maybe you’d like to focus on a direct ancestor’s arrival in America and how that changed his life and future of the family. The pros of taking a historical approach: Writing about your ancestors in a historical context can bring out stories you may never have thought of before. And learning how certain events influenced them or pushed them to do certain things and see life in a certain way can add a great richness to your family history. A few cons to consider: Certain events — such as war, natural disasters, and the like — can be difficult or even depressing to write about, and you may even hear a few stories that you wish you hadn’t. This isn’t to say that every story in your family history has to have a happy ending — but it’s best to be prepared to hear some less-than-positive details. A memoir is a historical account written from one’s own personal experience. To write a memoir about your family history, you, the writer, would write an account of your family members or an important event as it relates to your family from your own memories, interpretations, experiences, and your conducted research. Depending on your age and your memory recall, the time span of your family’s history would be closer to the present and be more subjective in nature than complete fact. The good: This format offers you flexibility and creativity to blend family facts with your own memories and personal interpretation. 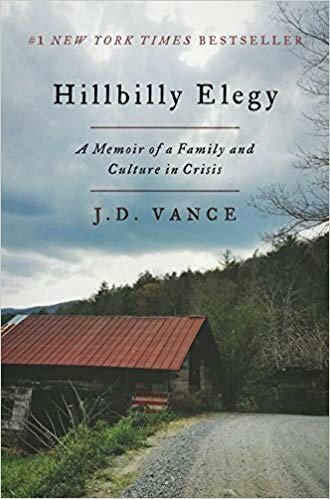 If you enjoy writing, you’ll likely find that this is one of the most interesting and compelling ways to highlight your family’s history through your own personal lens. The (potentially) not-so-good: One of the biggest problems with this sort of family history is the subjective nature of the writing. It is typically based mostly on your own interpretation and assumptions with no room for other family member’s input. You may find that you are too personally entwined with the events, which it can cloud your memory and hinder your ability to write objectively. Instead of relying solely on YOUR memory, you can collect all the memories you can from living relatives and combine them with surviving historical documents to produce a single narrative, anthology, or scrapbook. What’s great about this option: By including stories from multiple family members, you’re sure to get a wide variety of viewpoints, ideas, and stories to include in your book. Your relatives will feel more included and this format really makes the book a true family story. What challenging about it: People often remember things differently — and with so many different voices and viewpoints, you might get conflicting memories to the same stories. You may also get stories that don’t work cohesively together (this is why it might be helpful to provide family members with pre-written questions or to interview them in groups). Of course, if you love the idea of putting together a family history — but feel apprehensive about the amount of research or writing required for your preferred format – a ghostwriter can help. Bringing in an outside resource can help you stay organized, keep your project on track, and help you fine-tune your writing. Whether you choose a handmade scrapbook, an anthology of personal narratives, or a short-and-sweet family tree, you’ll find that this project will be rewarding for everyone involved. And you’ll likely learn a thing or two about your family along the way. Shelly Spencer has been a professional writer for the past 25 years with a specialized focus on grant and RFP proposal writing. She has written for small start-up and mid-sized businesses as well as numerous non-profit organizations and also worked at a daily newspaper editing and proofreading display advertisements and real estate articles. 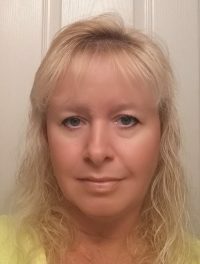 Shelly has experience in writing for a variety of industries in all types of copy, including articles, blog posts, e-books, websites, proposals, brochures, press releases, newsletters, and more. Choosing not to go the traditional route, Shelly gained her skills through hands-on experience and by studying direct mail, B2B, and SEO copywriting through various American Writers and Artists Inc. (AWAI) programs. She is an AWAI verified direct response copywriter having completed their Accelerated Program for Six-Figure Copywriting and the Master's Program for Six-Figure Copywriting. She has also completed the Secrets to Writing High Performance B2B Copy by Steve Slaunwhite and Dan Kennedy's Writing for Info Marketers, both through AWAI, and The Ultimate Travel Writer’s Program by Great Escape Publishing. Shelly is a member of the Professional Writer’s Association (PWA) and the International Travel Writers and Photographers Association (ITWPA). How Can a Ghostwriter Help Write My Family History?